Behavioral Addictions: A New Solution to Very Old Problems expands the whole arena of how addiction is regarded and the extensive ground addictions can cover. Five Diagnostic Criteria for diagnosing addiction--all addictions—derived from what early self-help pioneers noticed regarding certain hallmarks of addiction that were showing up a range of behaviors far-removed from their prior drug- and alcohol-based addiction histories, are presented in detail. The Five Diagnostic Criteria provide the bridge that conclusively proves the existence of Behavioral Addictions, and establishes the foundation for their correct diagnosis and treatment. As a phenomenon that transcends both substance-based and non-substance-based behaviors, “addiction,” at a meta-level, reveals itself to be an energy—ADDICTION ENERGY!! This Energy can use any outlet, either substance-based, purely behavioral, or both, to work its destructive ways. Behavioral Addictions: A New Solution to Very Old Problems takes a very close look at Addiction Energy, fathoming its qualities both in their destructive aspects, and in hints that each quality contains regarding various healing possibilities. 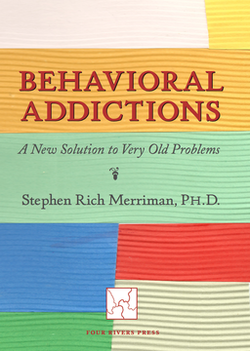 Behavioral Addictions: A New Solution to Very Old Problems also includes thoughtful descriptions of a number of behavioral addictions, and numerous perspectives regarding their correct diagnosis and treatment. The book sets forth a vision of extended healing possibilities. Finally, Behavioral Addictions: A New Solution to Very Old Problems sends forth a call to the professional field of addictions treatment to, at long last, welcome, and claim, Behavioral Addictions as a rightful part of the field’s responsibility and mission. The story of the healing odyssey of twenty-five personalities, all living within one body, and the journey they followed towards integration—towards wholeness. 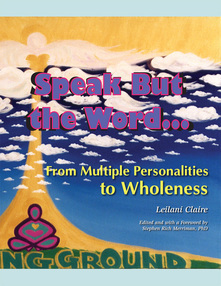 In the fullness of time, this remarkable achievement resulted in the emergence of a singular, unified person, Leilani Claire, who, as a culminating gift and legacy, went on to write a record of her “post-final-integration” life as a unified, non-clinically dissociating person—as an “integrated multiple.” Speak But the Word is a compelling, informative and inspiring read both for the lay reader and for the clinician seeking to gain further insight, understanding and mastery regarding the phenomenology and treatment of dissociative disorders. 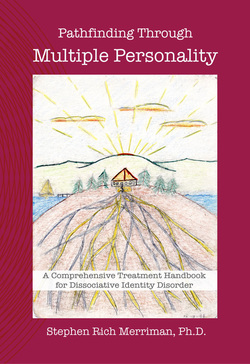 This handbook presents a panoramic, comprehensible approach to the treatment of Dissociative Identity Disorder, from pre-diagnosis through (and beyond) final integration, covering, in detail, all stages along the way. The tone of this handbook is meticulously and painstakingly didactic. All the material and lines of approach presented herein are experientially derived from clinical work. With this book in hand a practitioner, whether seasoned or novice, stands a reasonable chance of being able to facilitate salutary outcomes for this very compelling and demanding treatment population. Suggested Readers: human services and addictions treatment professionals, those who are personally afflicted, and those who live with them. Anger and Rage Addiction & the Self-Pact: New Lights on an Old Nemesis presents a close look at the dynamics of anger and rage, as viewed through the lens of Addiction Theory-drawing on discriminating, diagnostic criteria derived directly from the world of alcoholism and drug addiction. The insights and, more importantly, the ramifications for treatment of Anger and Rage Addiction that result, are profound. A new approach, called the Self-Pact, draws completely on the Addiction model to establish its foundation and efficacy. The Self-Pact holds considerable promise for both curtailing the mayhem that untreated Anger and Rage Addiction looses on the outer world, and emboldening those afflicted with Anger and Rage Addiction to embark on their own odyssey, replete with discoveries, adventures, reconciliation with self and others, and personal encounters with "whole" states of being. A series of essays based on naturalistic observations on the nature, phenomenology, and functional capacities of unexceptional states of everyday consciousness across a range of domains. The text is rich with observations that carry intimations of transcendent underpinnings for so many apparently mundane flexations of consciousness, the significance of which, in their unnoticed state, being routinely passed over by the unobservant or uninquiring mind. Emboldening its readers to embark on a path leading to wonder and personal enrichment, Who's At Home . . .encourages both a spirit of serious and playful inquiry, combined with the sense of delight that arises from the alchemy of personal discovery. 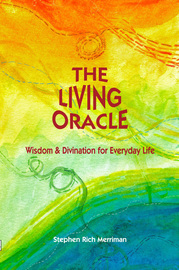 A contemporary oracle designed to introduce the venerable tradition of oracular consultation to a much wider readership. This work features an original, pristine oracular text, contains helpful, fascinating chapters on consulting methodology and "why oracles work," as well as a chapter in which the Oracle prognosticates as to its own future as an oracle ("The Oracle Speaks! [...about itself...]"). A "Table of Correspondences," linking oracular passages to passages from the venerable I Ching, is also included. The Living Oracle can facilitate remarkably fruitful forays into the realm of soul and psyche on the part of its readers and consulters. The stirring account of a relationship forged, over thirty years, on river ice, between a much younger, questing man and an older, atheistic "River Wizard." This unlikely association led inexorably to a post-death pact that was, most wonderfully, honored. The narrative is written as both a paean to a special kind of friendship, and a discriminating inquiry into the whole question regarding the possible continuation of personal consciousness beyond what we call "death." 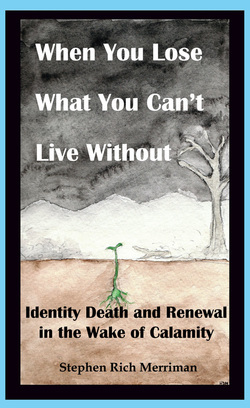 A concise, muscular yet poetic text addressing the sequence of calamity, identity death, life "in the wilderness," renewal and restoration—an ordeal that most of us are obliged to encounter over the course of our lives (usually more than once). These stages are presented in the context of a novel theory of calamitous loss, presented as both unbidden and "bidden." For many, this difficult passage is being compounded by the crushing effects of an economy in peril. When You Lose... offers a road map, and a vision of hope, for all those who are encountering unanticipated rupture and loss, as these may arise in any area of life.